A bride’s wedding wardrobe and her trousseau are extremely important, as that’s one that’s going to make up for a lifetime of memories. 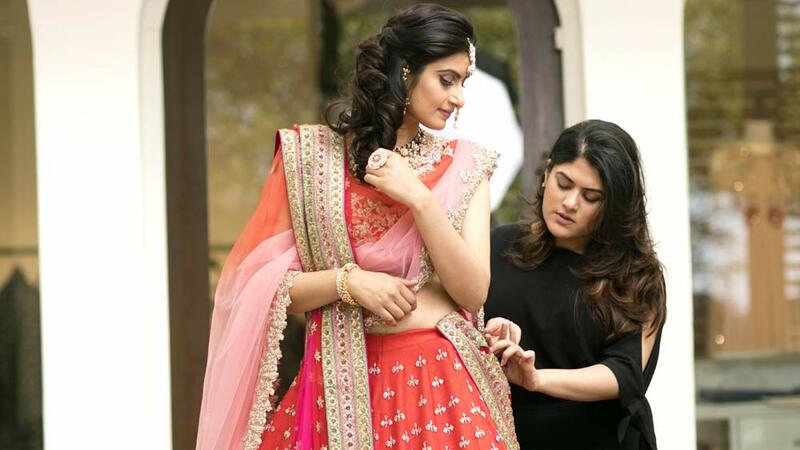 In Conversation with Franchise India, Meha Bhargava, Founder and CEO, Styl.INC, talks about the trends and future in the wedding styling business. A one of a kind boutique styling and shopping service, Styl.INC is a one-stop shop styling service for Image Consulting, Communication Skills and Body Language Coaching, Personal Shopping and Wedding concierge and shopping/ styling service in New Delhi India. Image consultancy was less known and hence it was necessary for these businesses to expand and explore various avenues. The forte of an Image consultant lies with Dressing i.e. as per body type, colour palettes, personal styles and in the end experiencing a wardrobe and style transformation; Communication Skills Body Language and Grooming. A bride’s wedding wardrobe and her trousseau are extremely important, as that’s one that’s going to make up for a lifetime of memories. It must and has to be an extension of one’s personality, of course flattering to the body and also personal colouration. The designers like to experiment and come up with different and unique concepts every year. Brides today are lot more social media savvy and are open to ideas and newer notions, for which we do have the celebrities and Bollywood to blame for. “Fashion in the wedding industry is evolving with the fashion in Bollywood and the likes thereof. Brides today aren’t shying away from experimenting with different colours and are definitely not looking at red and maroons for the wedding no more,” commented, Meha. What’s shaping the trends in this business? With social media and Instagram ruling our lives and getting us up close and personal with our favourite Bollywood star, it’s now extremely easy to know what the stars are wearing. Be it their rendezvous at a launch, an invite at an A-listers wedding or their own wedding. “The lure and dream of being a similar bride/groom to their favourite star is now a trend that isn’t going anywhere for the longest time. Also, the fact that you have other weddings being posted by wedding portals these days brings in an aspiration amongst the brides and grooms to be and most of them have a vision or an overachieving Pinterest board already on the go,” said Meha. Hence, the connectivity, social media craze, celebrity weddings, wedding portals all amount to shaping trends in this industry. In coming years, hiring a personal stylist for the wedding day will no more remain an indulgence but will become a prerequisite! Hiring a wedding stylist will soon become a trend amongst Indian couples getting married. “Primary reason is the stressful life that we all go through. With so much happening on the professional front, it becomes very difficult for the bride, groom and even the family members to invest time in exploring the market for the wedding outfits,” stated Meha. Hiring a personal shopper and a stylist is a new concept. Thus, it is essential to educate the people, the importance of hiring a wedding stylist. Not every bride is sure about what to wear on her D Day and this is where wedding stylist come into the picture and helps them look the best. “We believe in being connected socially and on the web world hence have an informative and well thought of website talking you through the process and what to expect, and also an equally image specific Instagram and Facebook page to keep you informed of the work we’ve done and the bridal families we’ve styled,” stated, Meha. Apart from this, it is also recommended to associate with a lot of wedding planners, both Indian and International. “To create awareness about being styled by us for your wedding, we constantly work with likeminded professionals for editorial and creative shoots,” added, Meha.